We Appliances Care Solution provide a large range of Top load or front load Washing Machine Spare Parts for all the leading brands. LG, Samsung, Electrolux, Whirlpool, Godrej, Onida, Siemens, Panasonic, Sharp, Toshiba, Haier Etc. 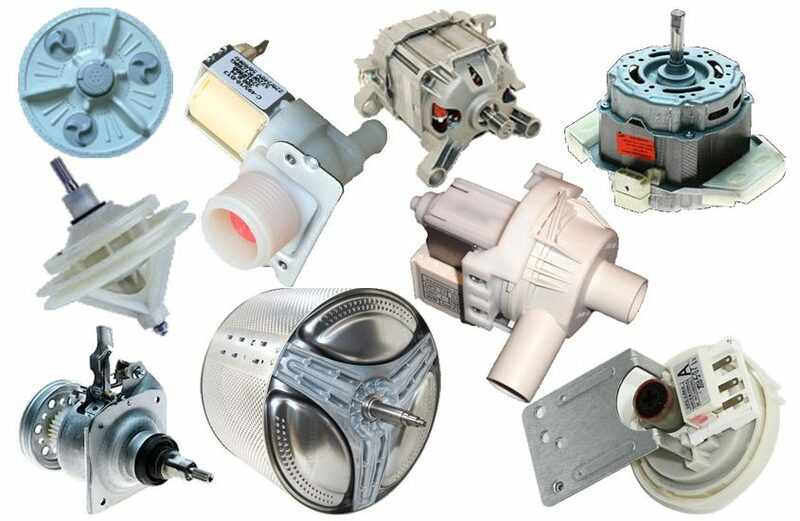 We have replacement parts for the washing machine main motor, wash timer, spin timer, pressure sensor, door switch, transformer, drain motor, pump motor, inlet valve, washer body, gear assembly, spin motor, PCB repair, every other part you can think of. whatever replacement part you need. The Washer or Dryer spare parts we give 100% genuine and which is suitable for your Washing machine with low price and maximum warranty.